Well, the weather didn’t really cooperate on my birthday. Tornadoes, golf ball sized hail, sheets of rain–they all made me a rather nervous homeowner. But we survived, and two friends braved the storm to drink some beer and play a game. Of course, we had to play one of my birthday presents: Cosmic Encounter, purchased that very day. Earlier in the week, I had watched a brief introductory video and was prepared to teach the game. We played in about an hour with only two rules ambiguities, which confirmed my pre-purchase research–it’s a simple game with a surprising amount of depth. So, who played and what happened? John the Chosen: As fun as it would have been to play The Losers, I went with The Chosen: every time I’m the main player in an encounter, I get to grab three cards off the top of the deck and use one to increase or replace my encounter card. Sweet. The other players begin to plot against me; the power of the special ability is pretty transparent and they quickly realized they needed to counter it. As it’s a first game, I basically paint a target on my back, deciding that forcing them on the offensive would make for a fun game. I was right; after some rapid first-turn expansion, they turned on me like a pack of intergalactic thieves , stabbed me in the back, and left me for dead. Sara and Baby Girl the Mutants: Sara, perhaps subconsciously acknowledging that she’s carrying our little mutant inside of her, took The Mutants. She was careful to draw up to a maximum hand of eight before resolving each of her encounters. In the end, she was able to cycle through the deck quickly and saved her wicked +40 attack card for the last encounter, which gave her the game. Why couldn’t I stop her, you ask? Because she’s got two brains to my one. And she’s freaking ruthless, even on my birthday. Which is one of the many reasons I love her. Aaron the Barbarian: It was really cool watching Aaron play The Barbarians. He’s a pretty casual gamer, but quickly developed a sound strategy. He clearly drew a bad starting hand full of Negotiations, but was willing to throw his ships into the warp in order to draw a large hand and give himself more options. He was also incredibly sneaky, riding our coattails and almost winning the game by the second turn. He’d just quietly come in on one side of an encounter or another, take his colonies, and keep quiet. Karen the Zombie: Preferring birthday cake to brains, Karen still made a good Zombie. She was a little wary of playing with spaceships on a Friday night, but warmed up to it admirably! In the end, she screwed me out of an alliance so that Sara won all by her lonesome and I came in tied for second with Karen. All I have to say is watch your back next time, blondie. All in all, it was a great way to spend a stormy Friday night. There was a lot of laughter and discussion about the game, but it didn’t feel like a huge brain drain. The 50 alien races will keep the game fresh for a long time, and the simple rules combined with endless opportunities to interfere in others’ encounters make it a great gateway game with more direct interaction than Carcassonne or Settlers of Catan, though next time I’ll keep Flares out of teaching games with casual players for the sake of simplicity. The stunning finish to the first game with Karen pulling the rug out from under me made me laugh really hard. However, after I recovered, I was instantly ready for a second game. Next time, I will rule the galaxy for sure! So, first contact with Cosmic Encounter? A resounding success! 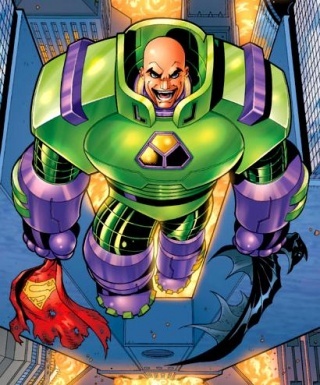 It appeals to the intergalactic Lex Luthor in all of us. You are currently browsing the Margin of Victory blog archives for June, 2010.